Chapter 2 begins in the middle of an argument by Paul that started in Chapter 1. Romans 1:18 through 3:20 is intended to establish that all of mankind is under condemnation because of sin. The argument started in Chapter 1 with a scathing indictment of the Gentile world. As we read those verses, we can imagine Paul’s Jewish readers nodding with approval and agreeing with Paul about those awful pagan Gentiles – yet Paul was not finished. He had a word for the Jews as well, and that is where we begin in Chapter 2. In 2:1-16, Paul makes it clear that having moral insight does not exempt one from condemnation. Indeed, by judging someone else, you admit that the thing you are judging is wrong – and therefore if you do the same thing, you admit that you must also be wrong. To indict the Jews as sinners was even more important than indicting the Gentiles. Why? Because it was commonly accepted that the Gentiles were sinners. What Paul needed to show was that the Jews who possessed the Law and had a special covenant with God were not saved even with those advantages. The Jews thought God would judge the Gentiles while protecting themselves. They needed to know that all men will be judged – not on their racial heritage – but on what they do in this life. But to convince the Jew that he was a sinner and needed salvation was a task that demanded a great deal of skill. Paul structures his argument so that it has an element of surprise. He first attacks the Gentiles, and only then moves to the Jews. In this he imitates Amos, who recounted the sins of the Gentile world in chapters 1 and 2 and then turned his attention to Israel and Judah. It also reminds us of Nathan confronting King David in 2 Samuel 12:7 – “Thou art the man!” Some have suggested that Paul may have adapted here a basic sermon that he used when preaching in the Jewish synagogues – gather a crowd, get them to start agreeing with you, and then spring the rhetorical trap! Romans 2:1 Therefore you are inexcusable, O man, whoever you are who judge, for in whatever you judge another you condemn yourself; for you who judge practice the same things. Chapter 2 uses the literary form of a diatribe. A characteristic of a diatribe is the use of a dialogue with an imaginary opponent in which the writer anticipates possible objections to his arguments. Rhetorical questions are typically used throughout a diatribe to drive the reader to the desired conclusion. So is Paul telling us here that all judgment is wrong? No. In fact, Paul is not telling us here that any judgment is wrong! Judging itself is not the problem here. Indeed, Paul himself is judging the deeds of the Gentiles and the Jews as evil. The problem is that these judges were doing the very evils that they were denouncing. Paul is condemning their hypocrisy and their self-deception. Note that Paul’s argument makes no sense at all if there is no absolute moral standard that applies to every man. If (as some suggest – and as some accuse Paul himself of teaching later in this very chapter) each man can decide on his own what is right and what is wrong, then Paul’s argument here is meaningless. That is, without an absolute standard it would be possible for both the judge and the judged to perform the very same actions with one being guilty and the other being innocent. As we will soon discover, Paul is talking about the Jews here – but he does not name them as Jews quite yet, for that would put them on the defensive and make his task harder. So he makes a gradual transition from the Gentiles to the Jews. When Paul says that the Jews were practicing the same things does he mean that the Jews were engaged in homosexuality and overt idolatry as the Gentiles were? Some commentators suggest not and conclude that Paul must have had some of the less serious vices in Chapter 1 in mind when he penned verse 1 of Chapter 2 (where presumably they have some way of determining those vices that are less serious). History, however, tells us that Paul certainly may have had ALL of the vices in Chapter 1 in mind when he penned verse 1. Antiochus IV Epiphanes came to power in Palestine in 175 BC. He sought to accomplish unity in his kingdom by fostering Hellenism; that is, by encouraging the adoption of Greek culture and ideals. He also increased taxes so he could pay the required tribute to Rome. Although all of the Jews disliked the taxes, they were divided about Hellenism. Younger Jews were eager to adopt Greek culture and integrate it into Jewish society, but most older Jews were uncompromising traditionalists. The High Priest (who got the job by paying Antiochus a bribe) built a Greek gymnasium within sight of the temple. There, young men (including priests) studied Greek culture and took part in sports. The custom of the heathen? Greek sports were conducted without clothing. Made themselves uncircumcised? This is not figurative speech. Some of the Jews actually tried to reverse their circumcision with surgery. Later, an altar to Zeus was built in the temple and sacrifices were offered on it. While it is true that the Jews eventually revolted against and overthrew this rule, we know from these events that elements of Jewish society were very quick to adopt Greek culture – which included homosexuality and idolatry, the very sins mentioned in Chapter 1. Remember what the Pharisee prayed in Luke 18:11 – “God, I thank You that I am not like other men – extortioners, unjust, adulterers, or even as this tax collector.” The Jews boasted in what they did not do, rather in what they did. Do you suppose there is a lesson here for us? 2 But we know that the judgment of God is according to truth against those who practice such things. God’s judgment is not hypocritical, but is according to truth. The next fourteen verses are going to tell us a lot about the judgment of God. · Verse 2 – God’s judgment is according to truth. · Verse 5 – God’s judgment is righteous. · Verse 6 – God’s judgment is according to our deeds. · Verse 11 – God’s judgment is impartial. · Verse 12 – God’s judgment is by the law. · Verse 16 – God’s judgment is by Jesus Christ. · Verse 16 – God’s judgment is according to the Gospel. 3 And do you think this, O man, you who judge those practicing such things, and doing the same, that you will escape the judgment of God? This was the attitude that Paul was about to demolish. He was going to tell these Jews that they were in the same boat as the Gentiles – and that boat was sinking! 4 Or do you despise the riches of His goodness, forbearance, and longsuffering, not knowing that the goodness of God leads you to repentance? God’s goodness should lead to repentance, but here it had led to presumption instead. Men often mistake God’s longsuffering grace for indifference or weakness. Three of God’s qualities are mentioned here: His goodness or kindness, his forbearance, and his patience or longsuffering. Kindness: There are two words for “good” in Greek – agathos and chrestos. The first is a goodness that may issue in the form of a rebuke and punishment. The second is a goodness that issues in the form of gentleness. The second form is used here. God can display both types of goodness. Jesus was agathos when he drove the moneychangers from the temple, but he was chrestos when he encountered the woman taken in adultery. Forbearance: The Greek word used here is the word for a truce. That is, it denotes a cessation of hostility – but with a limit. Patience or Longsuffering: The word used here denotes the characteristic of a person who has the ability to avenge himself but deliberately does not do it. That punishment does not immediately follow sin is not proof of powerlessness, but of patience. The German poet Heinrich Heine was once asked if he feared the afterlife. He responded, “God will forgive. … It is his trade.” Paul tells the Jews here that they are trading on the mercy of God – which is very dangerous! When someone receives a great forgiveness, two attitudes can result. First, that person may be so grateful that he spends the rest of his days trying to be worthy of the great forgiveness he has received. Second, the person may go out and do the same thing again, trading on being forgiven yet again. The Jews were in the second category. What category are we in? These people were putting wrath into a bank account! Some day they were going to have to make a withdrawal! The Greek word for “treasuring up” is used with irony – it was typically used in Jewish literature to denote the future bliss that a Jew would obtain because of his good deeds. Here Paul uses it for the opposite purpose. Verse 5 uncovers the root problem of the Jews. The kindness and patience of God were intended to lead them to repentance – but they failed to repent because they had a hard and unrepentant heart. Paul’s reference to their impenitent heart foreshadows the contrast he will make at the end of this chapter – true circumcision is circumcision of the heart (verse 29). 6 who "will render to each one according to his deeds": 7 eternal life to those who by patient continuance in doing good seek for glory, honor, and immortality; 8 but to those who are self-seeking and do not obey the truth, but obey unrighteousness -- indignation and wrath, 9 tribulation and anguish, on every soul of man who does evil, of the Jew first and also of the Greek; 10 but glory, honor, and peace to everyone who works what is good, to the Jew first and also to the Greek. If we assume in verse 7 that God will provide what we are told to seek, then Paul has in that verse defined “eternal life.” Eternal life consists of glory, honor, and immortality or incorruption. Paul is speaking to two groups: (1) those who receive eternal life in verses 7 and 10, and (2) those who receive wrath in verses 8 and 9. Most commentators agree that Paul must be alluding here to Psalm 62:12 or Proverbs 24:12 because the wording used is very similar. What is Paul saying here? How then does anyone receive eternal life “according to his deeds”? There are several possibilities. The answer may simply be that NO ONE will receive eternal life according to his deeds. That is, this first group may be hypothetical. In mathematical terms, it may be the empty set. Eternal life would be given if one did good works and kept the law perfectly, but no can do that, and thus no one will in reality obtain eternal life on that basis. As Paul will tell us later, all have sinned and fallen short of the glory of God. A problem with this view is that this is not the only place where Paul relates salvation to good works. That passage is hard to interpret hypothetically (as is the passage here in my opinion). What then is the solution? Are we saved by faith or are we saved by works? James, of course, provides the answer. We are saved by faith (as Paul tells us) but faith without works is dead (as James tells us in 2:20) – and no one will be saved by a dead faith. We are saved by grace through faith – not of works lest any man should boast. (Ephesians 2:8-9) Those who teach that we are saved by faith without works are proclaiming salvation by a dead faith. We are saved by faith, but that faith must necessarily be accompanied by good works – and therefore no one without good works will be saved. Do our good works save us? Absolutely not. Will anyone be saved without good works? Absolutely not. Is there a contradiction between Paul and James? Absolutely not. No one who receives eternal life will have lead an ungodly life, but rather after their conversion they will have pursued righteousness and holiness. Everyone in Heaven will have a record of good works. What about those in Hell? Certainly many will have a record of bad works, but you know what? Some people in Hell will have a record of good works. But if good works could save us, then Christ died for no reason. Christ came because he loved us and he knew that our good works could NOT save us! What is Paul’s point here? He is telling these Jewish judges that they themselves will be judged – not based on what they said – but based on how they lived. Verse 8 tells us that some men obey the truth and others obey unrighteousness – but all men obey something! The phrase “self seeking” in verse 8 is translated “contentious” in the King James Version. The Greek word is obscure, but recent discoveries support the “self seeking” translation. 11 For there is no partiality with God. Now there’s a verse that’s hard to misunderstand – but the Calvinists seem to have done just that! They say that God predestined certain people to Hell and others to Heaven even before they were born. I don’t know about you, but that sounds a little partial to me. The Bible contains passages that are difficult to understand. Peter himself said that some of Paul’s writings were hard to understand. (2 Peter 3:16) Hard passages should be interpreted in view of easy passages. If our interpretation of a hard passage violates a clear statement in an easy passage, then that interpretation is wrong. Verse 11 is an easy passage. Whatever we conclude about God’s plan for mankind, we must conclude that He does not show partiality in his judgments. God does not have a most favored nation clause when it comes to judgment. This verse does not mean that God does not bless some more than others. We know that he does that. Paul will tell us in Romans 3:1 about all of the advantages received by the Jews. But with those advantages came added responsibilities – to whom much is given, much is required. Jacob was chosen over Esau, but that did not mean that Esau was damned – only that Jacob received greater blessings and greater responsibilities. The Gentiles had advantages that offset those of the Jews. If the law that directed them was less clear, it was also less onerous. The Greek word used in verse 11 literally means that God is not impressed by anyone’s face. He is fair. He is not swayed by anyone’s money or position in life. Lesson for Today: “The man born in a Christian home stands today in the category then occupied by the Jew.” Is there a more wonderful blessing than to be born into a Christian home? Does anyone have a greater responsibility? Paul is talking about Gentiles who did not have the law of Moses, and yet sinned against the law that they did have. We know that the Gentiles were under a law. Why? Because they sinned, and “where there is no law, neither is there transgression.” (Romans 4:15). What law were the Gentiles under? The same law that the Jews were under before the Law of Moses – the Law of the Patriarchs. This is the law that Cain violated. This is the law that those destroyed in the Flood violated. This was the law that the men of Sodom violated. There are certain eternal principles that have been part of every law that God has ever given to man. It is these eternal principles (as opposed to the ceremonial laws in the Law of Moses) to which Paul is referring. It is important to note that Paul in verse 12 does not speak of the salvation of the Gentiles, but of their perishing. Paul’s purpose here is not to tell the Jews that they will be lost and the Gentiles will be saved – Paul’s goal is to convince both Jew and Gentile alike that they are lost without Jesus Christ. The Jews did have the Law of Moses and it was certainly an advantage – but possession of that law did not offer any protection from condemnation. The Law is a merciless judge because it demands sinless perfection. Are Christians under a law today? We must be because without law there is no sin. We are under the law of Christ. Paul tells us here that the doers of the law will be justified. But in the very next chapter (verse 20) he will tell us that “by the works of the law shall no flesh be justified in his sight.” And in Galatians 2:16 he will tell us again that “by the works of the law shall no flesh be justified.” So who are these “doers of the law” in verse 13 that are justified? Again we have several possibilities. As we discussed before, in verse 13 we may have a hypothetical group that exists only to assist Paul in his argument. If one were able to live perfectly under the law, then that person would be justified before God. But only Jesus was able to do that. Paul tells us elsewhere that no men will be justified in that manner. Another possibility is that Paul is once again stressing the importance of good works. Faith without works is dead, and thus no one will be saved through faith unless that person has good works. In that sense, the doers of the law are justified – as opposed to those that merely hear the law and have no good works as a result. Paul is once again stressing that having the Law or hearing the Law is not enough to escape the condemnation. The Jews had stressed possessing the Law and hearing the Law and knowing the Law – but had neglected doing the Law. The law must be satisfied – and that can only occur by perfectly following the law. The Christian has Christ – who perfectly fulfilled the Law’s demands – but the moralist has only himself and hence is in big trouble. Paul here deals with an objection that might have been raised at this point by his readers. 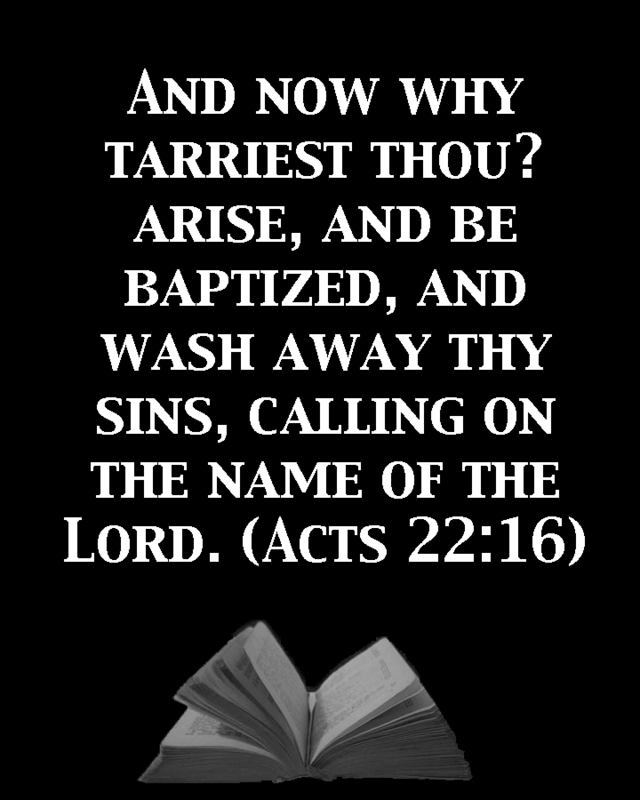 How can the Gentiles be guilty of sin at all if they were never given any law to follow? Is that really fair – to hold them to a law that they were never given? I thought God was impartial. Verse 12 tells us that those who sin without the Law will perish, but it lacked any explanation as to why they will perish. Verses 14-15 give us the reason. Gentiles are fairly judged for their sin because even without knowing the Mosaic law they are conscious of moral norms and yet do not consistently keep them. Paul’s point here is to underscore his theme that the Jewish possession of the Law does not constitute a saving advantage because unbelieving Gentiles also possess a law written on their hearts (i.e., known to them) and they occasionally obey it. If the Jews were saved by occasional obedience to the Law of Moses, then why won’t these Gentiles also be saved by occasional obedience to part of the very same law? The construction of the Greek in verse 15 shows plainly that it was the work of the law, and not the law itself, that was written on their hearts. The work of the law refers to the moral requirements of the law. These Gentiles knew the eternal principles that have been part of every law of God. Paul says that Gentiles do “by nature” the things in the Law. What does “by nature” mean? Some suggest that Paul is telling us that man is born with some “innate moral instinct.” But in Ephesians 2:3, Paul talks about people who were “by nature” children of wrath. Does that mean they were born with some innate immoral instinct? Paul told the Corinthians in 1 Corinthians 11:14 that nature taught that it was shameful for a man to have long hair. Are men born with an innate instinct for the length of their hair? Barclay says that the text here refers to a “God-implanted knowledge of right and wrong” within the heart of mankind. Perhaps, but has this really been our experience? Mankind may get a notion for morality from society (theft, murder) or from family (honor parents), but is man really born with these notions or morality? If so, why did the Jews need to have these moral precepts written down on tablets of stone if they were already written on their hearts? The Greek word for “nature” is “phusis” and it has numerous meanings. · 2 Peter 1:4 – we are made partakers of the divine nature when we come to Christ; that is, we take on his characteristics. · Galatians 4:8 – “when you did not know God, you served those which by nature are not gods.” Here “nature” refers to their constitution or inherent qualities. · Romans 1:26 – Paul tells us that homosexuality is against nature – that is, it is against the natural and normal order of the things. · Romans 2:27 – Paul refers to Gentiles as “the uncircumcision that is by nature.” If that means “by birth” then the same is also true of the Jew. It must mean something else. The Gentile (like the Jew) is born uncircumcised, but the Gentile (unlike the Jew) remains in that state – the Gentile remains “out in the wild” and apart from the Jewish system. The Gentile is “by nature” uncircumcised. This latter meaning seems to fit best here in verse 14. The Gentiles do not have the law, but they “by nature” (that is, separate from the Jewish system – out in the wild) practice the law. So what happens when the Gentiles practice the law without having the law? They bind themselves to a system of moral law. Even Gentiles without the Law of Moses know that certain things are right and certain things are wrong within themselves. Cain sinned in killing his brother and he felt guilt, yet we have no record that God had told him not to kill. God has made himself known to ALL people. But isn’t Paul teaching situation ethics in verse 14 – a law unto themselves? Not at all. Remember what we said about verse 1. If Paul thought that men could determine what is right and wrong then his argument in verse 1 makes no sense at all! These 24 lessons provide a verse by verse study of the book of Romans.